Today I began teaching my first incense course - a series of incense classes, covering the main burning styles and incense making techniques. Using natural raw materials only, such as precious resins, gums, woods, spices and herbs, we will pulverize, grind and mix together raw materials that were used in incense making since time immemorial. 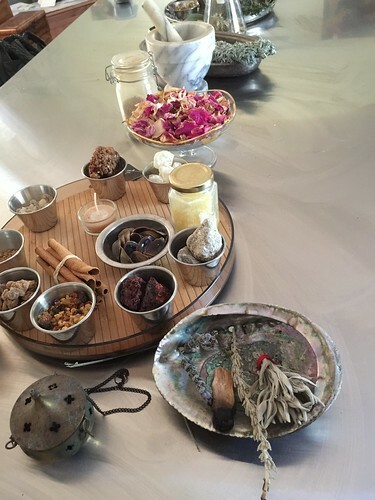 I am very excited for this workshop - because it is taught to a very special group of women, and also is giving me the push to improve my incense making skills and learn new techniques! I'm much behind on checking out "new" scents, including this "recent" offering from the leading niche house of Monsieur Lutens... I've been skimming through new releases with very little interest in the past few years (in case you haven't noticed the waning volume of perfume reviews here). And when yet another fragrance with artificially blackened subtitle showed up, I've become not even in the least curious about it... However, aside from the (lame) name, Serge Noire was a pleasant surprise: it is the liquid version of Zu-koh, AKA Japanese body incense. My first encounter with Serge Noire gave me the impression that it's yet another violet-cedar oriental, full of ionone and cedrol. Then, when I tested it at Sephora it smelled entirely different, and totally won my heart: Camphoreous-woody and underlined with balsamic sweetness. I was smelling a whiff of of borneol camphor at first, sprinkled with cassia and over a looming backdrop of dark woodsy notes of patchouli, cedar wood and sandalwood. The finishing touch is a base of powdery, comforting puff of amber and vanilla. And it is a dead ringer to Tokusen by Shoyeido, which I adore. 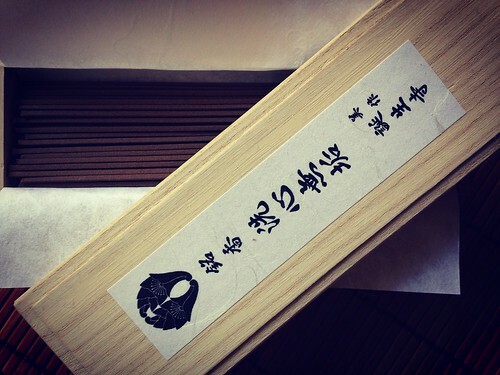 If you're unfamiliar with the experience of body incense (zu-koh), this is a special blend of powdered woods and spices that were originally intended for purification before prayer. Instead of washing one's hands before entering a temple, you'd sprinkle your hands with this powder and rub your palms with it. It can also be worn much like liquid perfume - a sprinkle on the chest or behind the ears and on the wrists and inside bend of the elbows. You'll be enveloped in a dusty cloud of spice and wood, and enjoy the benefits of incense (minus the smoke) or perfume (sans the alcohol). I'm very fond of this perfume, and it makes one feel both sensual and spiritual at the same time... It is how I'd imagined the "char black" perfume that is mentioned in Memoir of a Geisha... It is sensuous, and at the same time also inspired meditation and contemplation, bringing instantly a magical, ancient feeling of serenity and deep thought, as deep as the roots of the trees it came from. Surprisingly, Serge Noire is the first Lutens in many years that I feel the urge to purchase. However, to my dismay, the carded sample I originally got still smells too much like the signature Lutens cedar-honey-violet accord which was originally introduced in Feminite du Bois. It's not so much about my personal preference but more about how much this style was copied over and over by "niche" brands that made it feel redundant and no longer original... Such is the nature of trends, unfortunately. I'll have to go to Sephora to try it again and make sure the bottles they carry are more like the body incense and less like artificial cedar and violets. 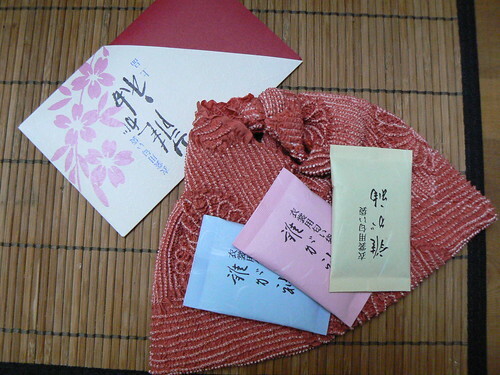 Alternatively, I can just revisit my Tokusen zu-koh and enjoy what I have. It also reminds me very much of a special Japanese incense that my friend Noriko brought me from a temple in the countryside.